The region's leading rugby news from the biggest selling North East papers. 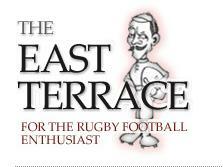 Entertaining and informative about rugby at all levels, with especially in-depth news about Newcastle Falcons. Leipy's excellent match reports, previews, and general musings about the Falcons. News articles online related to the Falcons, updated every few minutes. Please feel free to mention any other links that you think would be of interest, or report any links that are not working. Just leave a message on the message board. This is the basic format for links we wish to add to make the site more useful & enjoyable for Falcons supporters. The graphics need tweaking to make it look nice but it gives an idea. We want to keep it simple & not cluttered so we won't be adding links to every newspaper in Britain, but any suggestions for really useful sources of news of interest will be considered. Rugbydump & East Terrace have been included as examples only, but if you like them they can stay. There will be separate page of links for TV, radio & commentaries. So far we have Sky rugby news, ESPN, ITV Aviva Premiership, Livesport which lists live rugby on TV, BBC Radio Newcastle, and the BBC link page to all live rugby commentaries. Again, if you think any others will be of interest to the users of this site please suggest them. There are similar pages to do for stats & tables etc but I thought people may want the news & commentaries up before the away game this weekend so just chucking those up now. Hey Monkey - you could add one link for all other news pieces - newsnow.co.uk (I think). They have a rugby union section which can be tailored specifically for the UK and update every 5 minutes. 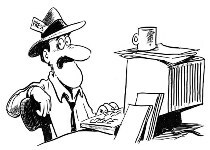 They have just about every article from everywhere in print or on the net from an established source. Menus on the top left side of this site now updated as requested with news, TV & radio links. Great idea and really good links. I will have a go at the Suppy club & Offy links next, they are all away with the pixies & haven't been updated for years. We are writing up a guide to visiting Kingston Park for new & visiting supporters next, then I reckon that is about as useful as we can make this site. Any other suggestions always welcome. All menus tidied up and up to date contacts for the club & supporters club now up & working. In theory the menu links will now be useful to supporters & visitors again. Just have to add a guide to visiting KP for all those new supporters we are going to attract now that our club has got its mojo back.